At the recent planning meeting event held at the International Centre, THE EXPO HUT announced the official launch of North America’s Only B2B event dedicated to the Halal Lifestyle, Halal Expo Canada 2019 which will be held in Toronto from October 8-9, 2019. The planning meeting gathered key professionals and businessmen from various areas of the halal lifestyle industry including Food, cosmetics, fashion, Financial, Investment, Tourism, Supplements, Media, Recreations and Education. “We are excited to be organizing the first B2B event of its kind catering to the halal lifestyle industry which will elevate the standards of the fast-growing halal market in North America” said Nasser Deeb, CEO at THE EXPO HUT. Halal Expo Canada 2019 has already secured the support of many local and international companies including Turkish and Malaysian authorities to recruit the leading companies in the halal industry to exhibit at the show. “We are very supportive to the concept THE EXPO HUT introduced to further enhance the halal trade in Canada and we will work closely with our associations in Turkey to attract Turkish companies to participate in Halal Expo Canada 2019” – Erdeniz Sen – Turkish Consul General in Toronto. The planning meeting covered several topics and areas of opportunities & concerns of the halal products and services trade. 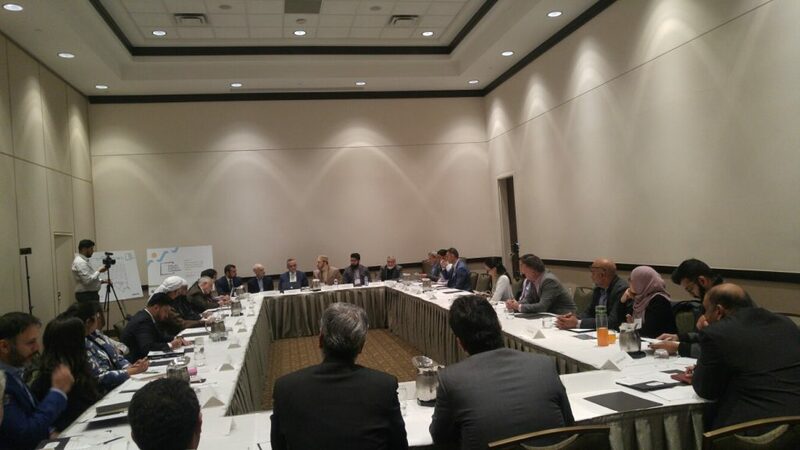 The participants gave emphasis on the urgent need of creating a platform such as Halal Expo in Canada to fulfil the growing demands and provide a vast variety of halal products and services. According to Dr Hameed Slimi, a well-respected scholar and the Imam of Sayeda Khadija Centre, that there is an urgent need to regulate and unify the practice of Halal Trade through a trade body that can set the mandates and ensure the continued healthy growth of the industry. As the halal food continues to dominate the halal lifestyle industry in Canada, the market leaders still face challenges to further strengthen their market position. “The main challenges of halal food products are the need of more transparency and unification of halal as a definition in order to remove the stigma attached to the word “halal,” said Nabeel Ishtiaq – Maple Leaf Foods (Mina Halal). Another area of the Halal Lifestyle is the financial and investment banking which has the potential to grow. “In order for the major banks and investments companies in Canada to invest further in the area of Islamic Finance and Investment, we need to see a large volume of consumers wanting to use such product or service,” said Mohammed Jalaluddin, President of Ansar Financial Group. The meeting continued to highlight on other areas of the halal lifestyle industry such as the growing trend in the Halal Tourism which estimated at CAD 325 Billion dollars and continues to grow at a fast pace. “I must say I really didn’t know what to expect and was very pleased with the panel, from the organizing committee, sponsors and attendees. A much-needed desired initiative and long overdue, we would love to know more about the Expo from a sponsor and participant perspective. 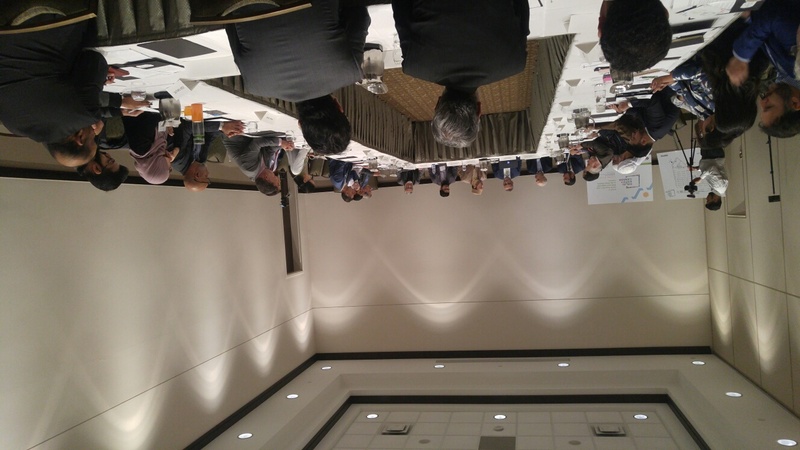 Personally, the planning meeting itself was a prime example of a B2B experience, attendees were given the time to the network and created start up conversations and solidify contacts” Said Asif Sidik Karatella – CEO, HUSNA Inc. North America Premier Halal Tourism Company.